RDBMS events are often used to do additional tracing and for debug purposes. One such event I use quite often to determine which locks/enqueues a session is requesting is the following. For example the below trace indicates that an innocuous looking query on v$flash_recovery_area_usage takes a controlfile lock in mode 4 which might not be the best thing to happen on a high throughput multi node RAC environment with a huge number of flashback logs. Today is System Administrator Appreciation Day, and being system administrators ourselves, we here at Ksplice decided to have a little fun with this holiday. Anyone who administers even a moderately sized network knows that when problems arise, diagnosing and fixing them can be extremely difficult. They’re usually non-deterministic and difficult to reproduce, and very similar symptoms (e.g. a slow or unreliable connection) can be caused by any number of problems — congestion, a broken router, a bad physical link, etc. One very useful weapon in a system administrator’s arsenal for dealing with network issues is traceroute (or tracert, if you use Windows). This is a neat little program that will print out the path that packets take to get from the local machine to a destination — that is, the sequence of routers that the packets go through. Pretty nifty. But how does it work? After all, when a packet leaves your network, you can’t monitor it anymore. So when it hits all those routers, the only way you can know about that is if one of them tells you about it. The secret behind traceroute is a field called “Time To Live” (TTL) that is contained in the headers of the packets sent via the Internet Protocol. When a host receives a packet, it checks if the packet’s TTL is greater than 1 before sending it on down the chain. 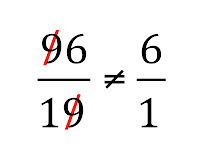 If it is, it decrements the field. Otherwise, it drops the packet and sends an ICMP TIME_EXCEEDED packet to the sender. This packet, like all IP packets, contains the address of its sender, i.e. the intermediate host. traceroute works by sending consecutive requests to the same destination with increasing TTL fields. Most of these attempts result in messages from intermediate hosts saying that the packet was dropped. The IP addresses of these intermediate hosts are then printed on the screen (generally with an attempt made at determining the hostname) as they arrive, terminating when the maximum number of hosts have been hit (on my machine’s traceroute the default maximum is 30, but this is configurable), or when the intended destination has been reached. The rest of this post will walk through implementing a very primitive version of traceroute in Python. The real traceroute is of course more complicated than what we will create, with many configurable features and modes. Still, our version will implement the basic functionality, and at the end, we’ll have a really nice and short Python script that will do just fine for performing a simple traceroute. Step 1: Turn a hostname into an IP address. Step 2: Create sockets for the connections. We’ll need two sockets for our connections — one for receiving data and one for sending. We have a lot of choices for what kind of probes to send; let’s use UDP probes, which require a datagram socket (SOCK_DGRAM). The routers along our traceroute path are going to send back ICMP packets, so for those we need a raw socket (SOCK_RAW). Step 3: Set the TTL field on the packets. Step 4: Bind the sockets and send some packets. Step 5: Get the intermediate hosts’ IP addresses. Next, we need to actually get our data from the receiving socket. For this, we can use the recvfrom() method of the object, whose return value is a tuple containing the packet data and the sender’s address. In our case, we only care about the latter. Note that the address is itself actually a tuple containing both the IP address and the port, but we only care about the former. recvfrom() takes a single argument, the blocksize to read — let’s go with 512. It’s worth noting that some administrators disable receiving ICMP ECHO requests, pretty much specifically to prevent the use of utilities like traceroute, since the detailed layout of a network can be sensitive information (another common reason to disable them is the ping utility, which can be used for denial-of-service attacks). It is therefore completely possible that we’ll get a timeout error, which will result in an exception. Thus, we’ll wrap this call in a try/except block. Traditionally, traceroute prints asterisks when it can’t get the address of a host. We’ll do the same once we print out results. Step 6: Turn the IP addresses into hostnames and print the data. Step 7: End the loop. Step 8: Run the code! Hurrah! The data matches the real traceroute‘s perfectly. Of course, there are many improvements that we could make. As I mentioned, the real traceroute has a whole slew of other features, which you can learn about by reading the manpage. In the meantime, I wrote a slightly more complete version of the above code that allows configuring the port and max number of hops, as well as specifying the destination host. You can download it at my github repository. 1 This is actually not quite how the real traceroute works. Rather than checking the IP addresses of the hosts and stopping when the destination address matches, it stops when it receives a ICMP “port unreachable” message, which means that the host has been reached. For our purposes, though, this simple address heuristic is good enough. 2 Ksplice blogger Nelson took up a DIY strace on his personal blog, Made of Bugs. Have you ever met anyone who attracted your attention because he had the right idea, but the more you got to know how he arrived at that idea, the less attracted you felt? All our lives, we learn how important it is to be correct, to have the right answer. You gotta have the right answer to make good grades in school, to nail that interview, to be accepted by your peers and your families and your supervisors, …. But too many people think that an education is merely a sequence of milestones at which you demonstrate that you know the right answer. That view of education is unfortunate. Here’s a little trick that will help me demonstrate. 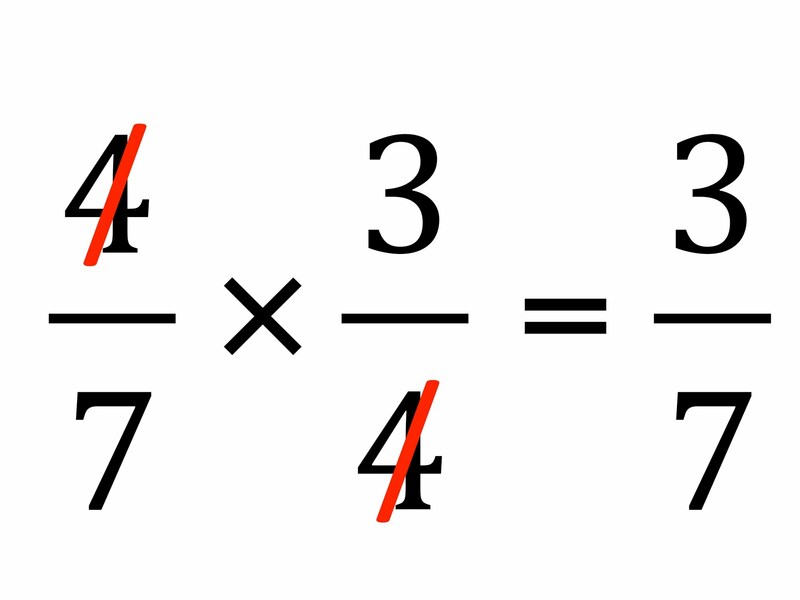 I’m sure you already know how to “cancel” factors in fractions, like I showed in my Filter Early post, to make division simpler. Like this: But, did you know that you can do this, too? You never knew you could do that, did you? The trick’s problem is precisely its lack of reliability. A process is reliable only if it works every time you use it. Incomplete reliability is the most insidious of vices. If you have a tool that never works, you learn quickly never to depend upon it, so it doesn’t hurt you too badly. But if you have a tool that works sometimes, then you can grow to trust it—which increases the stakes—and then it really hurts you when it fails. Of course, you can make a partially reliable tool useful with some extra work. You can determine under what limited circumstances the tool is reliable, and under what circumstances it isn’t. Engineers do it all the time. Aluminum is structurally unreliable in certain temperature ranges, so when a part needs to operate in those ranges, they don’t build it out of aluminum. In some cases, a tool is so unreliable—like our cancel-the-digits trick—that you’re better off abandoning it entirely. 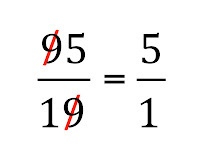 So, if your student (your child) were to compute 95/19 = 5/1 by using the unreliable cancel-the-digits method, should you mark the problem correctly solved? 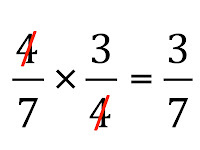 It’s the right answer; but in this case, the correctness of the answer is actually an unfortunate coincidence. 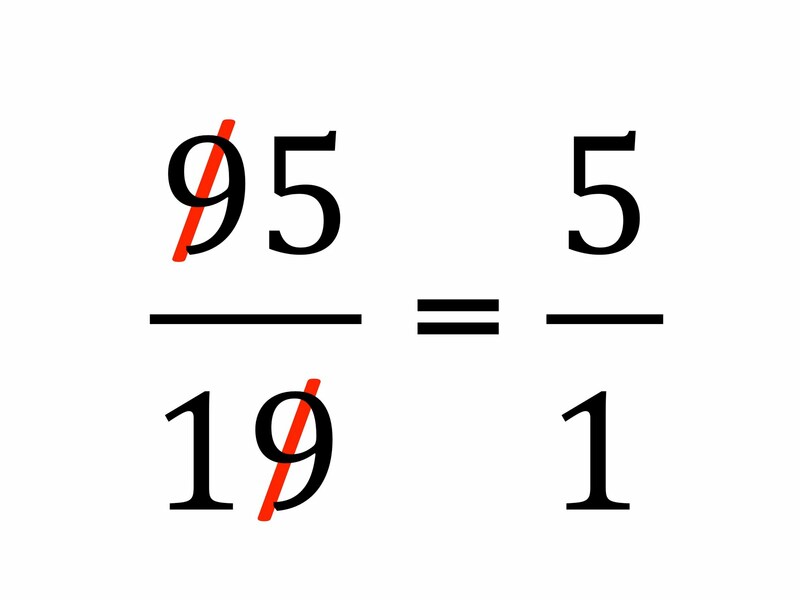 I say unfortunate, because any feedback that implies, “you can reduce fractions by canceling digits,” helps to create a defect in the student’s mind. It creates a bug—in the software sense—that he’ll need to fix later if he wants to function properly. That’s why showing your work is so important for students. How can someone evaluate your thinking if all you show is your final answer? Being a good teacher requires many of the same skills as being a good software tester. It’s not just about whether the student can puke out the right answers, it’s whether the process in the student’s mind is reliable. 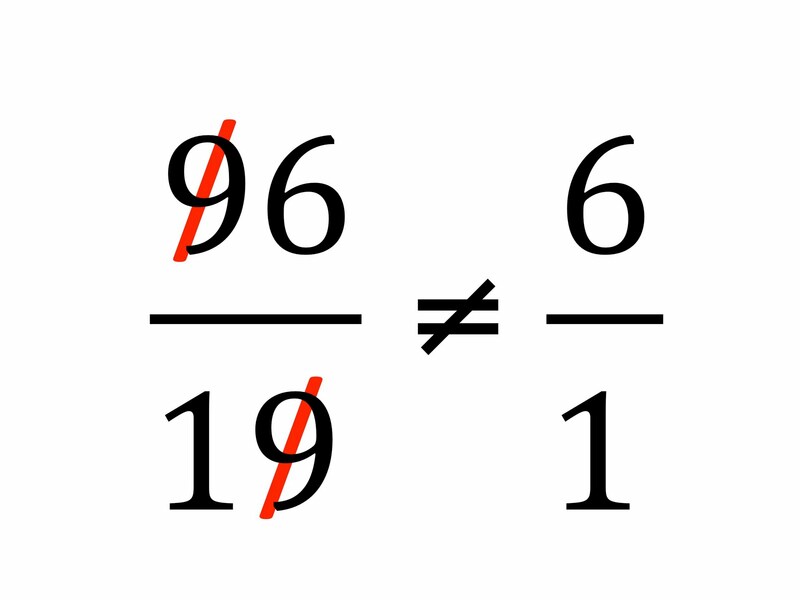 For example, if a student is prone to believing in an unreliable trick like cancel-the-digits, then a test where all the problems submit nicely to that trick is a really bad test. Likewise, being a good student requires many of the same skills as being a good software developer. It’s not just fitting your mind to the problems in the book; it’s exploring how the things you’re learning (both code path and data) can help you solve other problems, too. Being a good student means finding out “Why?” a lot. Why does this work? Does it always work? When does it not work? Clear thinking is more important than the right answer. Certainly you want the right answer, but knowing how to find the right answer is far more important. It’s the difference between having a fish and knowing how to catch more. Combine this with passwordless ssh logins, and your shell scripting powers have just leveled up. Want to figure out what version of Python you have installed on each of your systems? Just stick ssh hostname python -V in a for loop, and you’re done! What gives? Some programs need a pseudo-tty, and aren’t happy if they don’t have one (anything that wants to draw on arbitrary parts of the screen probably falls into this category). But ssh can handle this too–the -t option will force ssh to allocate a pseudo-tty for you, and then you’ll be all set. But wait, there’s more! ssh’s ability to forward ports is incredibly powerful. Suppose you have a web dashboard at work that runs at analytics on port 80 and is only accessible from the inside the office, and you’re at home but need to access it because it’s 2 a.m. and your pager is going off. Fortunately, you can ssh to your desktop at work, desktop, which is on the same network as analytics. So if we can connect to desktop, and desktop can connect to analytics, surely we can make this work, right? So now, if you visit http://localhost:8080/ in your web browser at home, you’ll actually be connected to port 80 on desktop. Close, but not quite! Remember, we wanted to connect to the web dashboard, running on port 80, on analytics, not desktop. Now, the remote end of the port forward is analytics:80, which is precisely where the web dashboard is running. But wait, isn’t analytics behind the firewall? How can we even reach it? Remember: this connection is being set up on the remote system (desktop), which is the only reason it works. This will set up a SOCKS proxy at localhost:8080. If you configure your browser to use it, all of your browser traffic will go over SSH and through your remote system, which means you could just navigate to http://analytics/ directly. Riddle me this: ssh into a system, press Enter a few times, and then type in a tilde. Nothing appears. Why? Because the tilde is ssh’s escape character. Right after a newline, you can type ~ and a number of other keystrokes to do interesting things to your ssh connection (like give you 30 extra lives in each continue.) ~? will display a full list of the escape sequences, but two handy ones are ~. and ~^Z. wdaher@rocksteady:~$ fg # and you're back! The authenticity of host 'bebop (192.168.1.106)' can't be established. RSA key fingerprint is a2:6d:2f:30:a3:d3:12:9d:9d:da:0c:a7:a4:60:20:68. Unfortunately, some time later, you and your friend have a falling out (something about Kirk vs. Picard), and you want to remove their key from your known hosts. “No problem,” you think, “I’ll just remove it from my list of known hosts.” You open up the file and are unpleasantly surprised: a jumbled file full of all kinds of indecipherable characters. They’re actually hashes of the hostnames (or IP addresses) that you’ve connected to before, and their associated keys. Before you proceed, surely you’re asking yourself: “Why would anyone be so cruel? Why not just list the hostnames in plain text, so that humans could easily edit the file?” In fact, that’s actually how it was done until very recently. But it turns out that leaving them in the clear is a potential security risk, since it provides an attacker a convenient list of other places you’ve connected (places where, e.g., an unwitting user might have used the same password). I’m told there’s still no easy way to remove now-bitter memories of your friendship together, though. If you’ve read this far, you’re an ssh pro. And like any ssh pro, you log into a bajillion systems, each with their own usernames, ports, and long hostnames. Like your accounts at AWS, Rackspace Cloud, your dedicated server, and your friend’s home system. And yes, the config file lets you specify port forwards or commands to run as well, if you’d like–check out the ssh_config manual page for the details. This list is by no means exhaustive, so I turn to you: what other ssh tips and tricks have you learned over the years? Leave ’em in the comments!